These came out great! 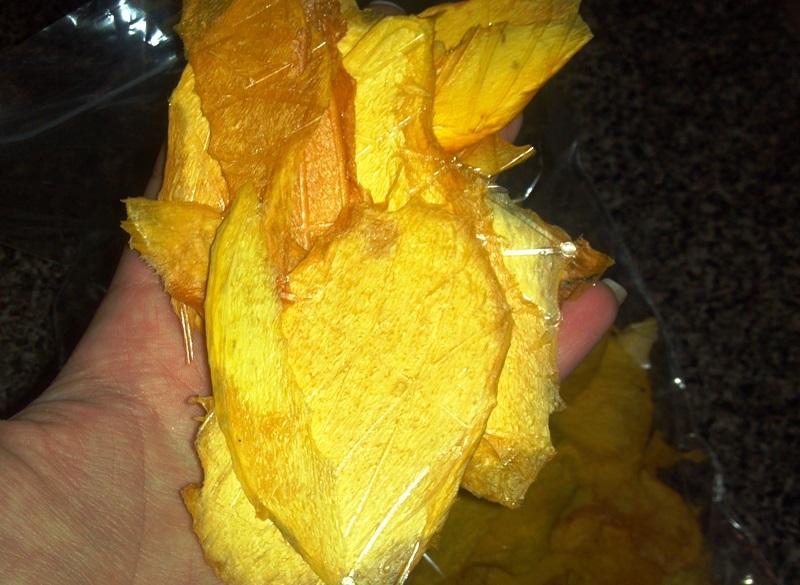 The mango retains all of its lovely color and flavor, and it didn’t take long at all! Try it for yourself! Thinly slice about four mangos or so, and distribute them evenly on the dehydrating trays, making sure none of them overlap the other. 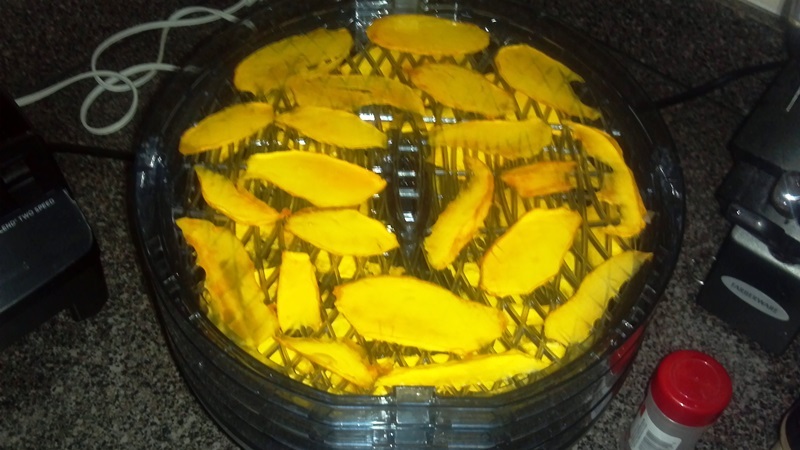 Because mangos can have a lot of moisture, you want to be sure to have your dehydrator on high. 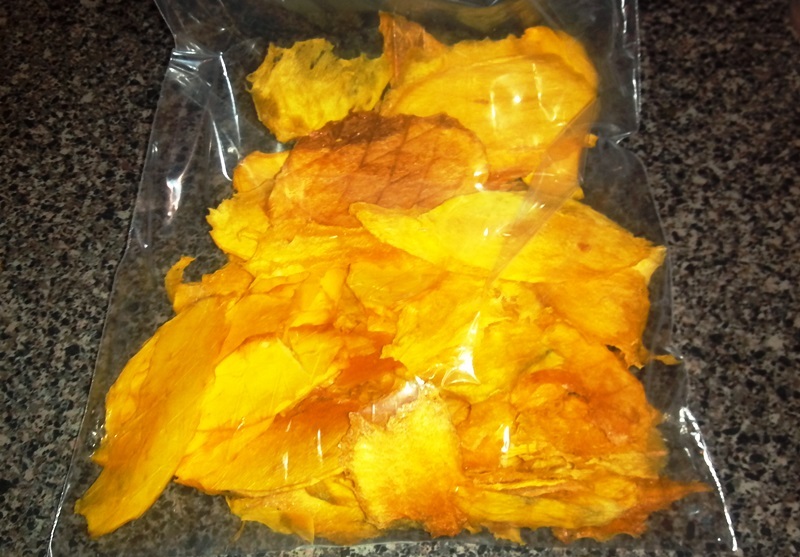 Dehydrate for about 10 hours or so. You can also turn it down to medium after afterwhile if you want as well. Take them out, store them in an airtight or ziplock bag, or eat right away! They taste great!